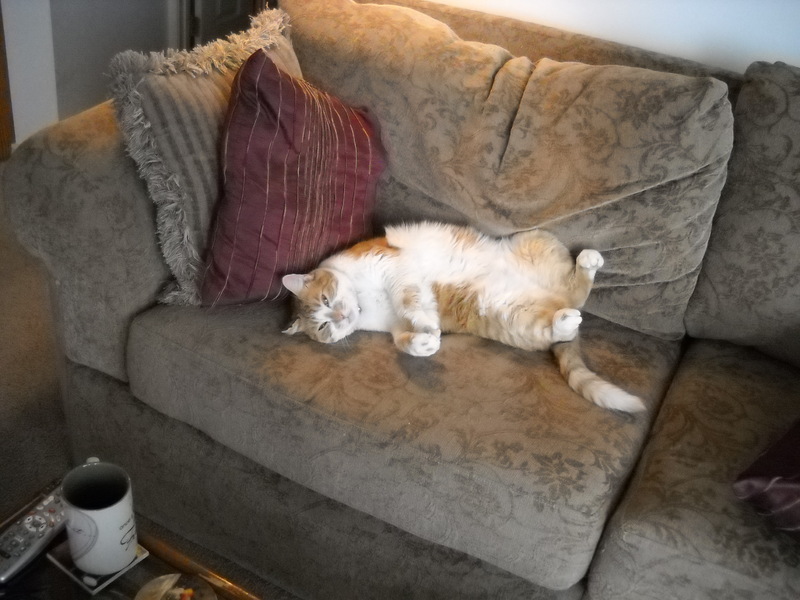 Meet Sammy – my role model for relaxation if not elegance in repose. This entry was posted in Molly Moderator Blog, Pets by Molly. Bookmark the permalink.